Lemco Transport was established in 2012 with the main focus on tourism- transport. Over the past couple of months the company identified the need for safe, reliable transport for schools and colleges, as well as corporate functions and social matters. According to Lemmer Coetzee, Owner and Managing Director of Lemco Transport, the company recognizes the importance of their customer's needs and their number 1 priority is their customer's safety. Lemco Transport currently provides transport service in and around Gauteng province to schools for field trips, sport events, tours, and daily transport of students. They are also occupied with “Party” shuttles, as well as shuttles for the Elderly in Old Homes and Retirement Villages, giving them the opportunity to see more places than the ordinary transport company can show them. Lemco constantly strives to ensure that necessary legal requirements for the operation of the vehicles in South Africa are met. 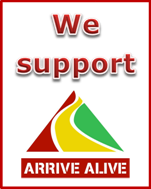 Among others, the following factors add to the peace of mind of their customers; each one of the vehicle is covered for R50 - 100 million passenger insurance, and the fleet as an average age of only 18 months, and we pride ourselves that we have the best drivers in the industry.